Match ends, Dundee 0, Ayr United 3. Second Half ends, Dundee 0, Ayr United 3. Genséric Kusunga (Dundee) is shown the red card. Foul by Genséric Kusunga (Dundee). Substitution, Ayr United. Craig Moore replaces Lawrence Shankland. Lawrence Shankland (Ayr United) wins a free kick in the defensive half. Foul by Karl Madianga (Dundee). Substitution, Ayr United. Steven Bell replaces Robbie Crawford. Goal! Dundee 0, Ayr United 3. Michael Moffat (Ayr United) left footed shot from very close range to the bottom left corner. Assisted by Robbie Crawford. Elton Ngwatala (Dundee) wins a free kick in the attacking half. Goal! Dundee 0, Ayr United 2. Lawrence Shankland (Ayr United) right footed shot from very close range to the bottom right corner. Assisted by Daniel Harvie. Attempt missed. Lawrence Shankland (Ayr United) header from very close range is just a bit too high. Attempt missed. Robbie Crawford (Ayr United) right footed shot from the centre of the box is just a bit too high. 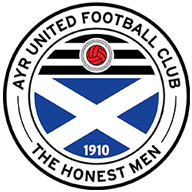 (Ayr United) wins a free kick in the defensive half. for dissent Elton Ngwatala (Dundee). Elton Ngwatala (Dundee) is shown the yellow card. Substitution, Dundee. Glen Kamara replaces Lewis Spence. Second yellow card to Sofien Moussa (Dundee) for a bad foul. Foul by Sofien Moussa (Dundee). Substitution, Ayr United. Declan McDaid replaces Alan Forrest. Karl Madianga (Dundee) wins a free kick on the right wing. Foul by Michael Moffat (Ayr United). Attempt saved. 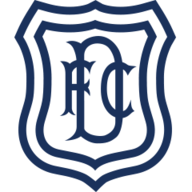 Jesse Curran (Dundee) right footed shot from outside the box is saved in the top centre of the goal. Daniel Harvie (Ayr United) wins a free kick in the defensive half. Sofien Moussa (Dundee) is shown the yellow card for a bad foul. Andrew Geggan (Ayr United) wins a free kick in the attacking half. Jamie Adams (Ayr United) wins a free kick in the defensive half. Daniel Harvie (Ayr United) wins a free kick on the right wing. Substitution, Dundee. Sofien Moussa replaces Jean Alassane Mendy. Attempt missed. Benjamin Kallman (Dundee) header from the centre of the box is close, but misses to the right. Nathan Ralph (Dundee) wins a free kick in the defensive half. Foul by Alan Forrest (Ayr United). Attempt blocked. Adil Nabi (Dundee) right footed shot from outside the box is blocked. Jesse Curran (Dundee) wins a free kick on the left wing. Robbie Crawford (Ayr United) wins a free kick on the left wing. Karl Madianga (Dundee) wins a free kick in the attacking half. Attempt missed. Jesse Curran (Dundee) right footed shot from outside the box is close, but misses to the left. Attempt missed. Jean Alassane Mendy (Dundee) header from the centre of the box is just a bit too high. Goal! Dundee 0, Ayr United 1. Lawrence Shankland (Ayr United) left footed shot from the centre of the box to the top right corner. Assisted by Ross Doohan. Adil Nabi (Dundee) wins a free kick in the attacking half. Foul by Andy Murdoch (Ayr United). Corner, Dundee. Conceded by Ross Doohan. Attempt saved. Jesse Curran (Dundee) right footed shot from the right side of the box is saved in the bottom left corner. Substitution, Dundee. Benjamin Kallman replaces Craig Wighton. Second Half begins Dundee 0, Ayr United 0. First Half ends, Dundee 0, Ayr United 0. Corner, Ayr United. Conceded by Elton Ngwatala. Attempt blocked. Robbie Crawford (Ayr United) right footed shot from the centre of the box is blocked. Attempt blocked. Adil Nabi (Dundee) right footed shot from the right side of the box is blocked. Attempt saved. Jean Alassane Mendy (Dundee) right footed shot from the centre of the box is saved in the bottom right corner. Corner, Ayr United. Conceded by Jack Hamilton. Attempt saved. Andy Murdoch (Ayr United) right footed shot from the centre of the box is saved in the top centre of the goal. Andrew Geggan (Ayr United) wins a free kick on the left wing. Michael Moffat (Ayr United) wins a free kick on the right wing. Attempt missed. Adil Nabi (Dundee) right footed shot from outside the box is close, but misses the top right corner. Attempt missed. Lawrence Shankland (Ayr United) right footed shot from outside the box is too high. Attempt saved. Craig Wighton (Dundee) left footed shot from the centre of the box is saved in the top centre of the goal. Attempt blocked. Nathan Ralph (Dundee) right footed shot from outside the box is blocked. Attempt missed. Lawrence Shankland (Ayr United) right footed shot from a difficult angle on the right is close, but misses to the right. Karl Madianga (Dundee) wins a free kick in the defensive half. Jamie Adams (Ayr United) wins a free kick in the attacking half. Foul by Jean Alassane Mendy (Dundee). Corner, Ayr United. Conceded by Josh Meekings. Corner, Ayr United. Conceded by Genséric Kusunga. Corner, Dundee. Conceded by Michael Rose. Attempt missed. Michael Rose (Ayr United) header from very close range is too high. Corner, Ayr United. Conceded by Nathan Ralph. Foul by Elton Ngwatala (Dundee). Andrew Geggan (Ayr United) wins a free kick on the right wing.